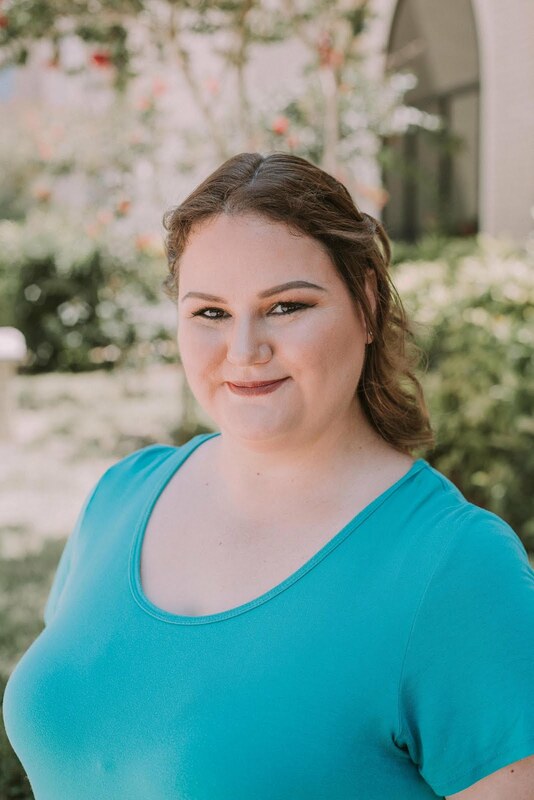 Have you heard of bigRuby yet? 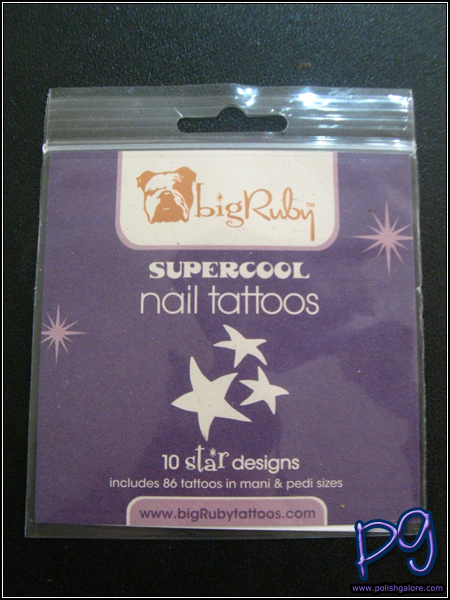 bigRuby is a line of "supercool nail tattoos" that are just like the temporary tattoos you put on your body, but these are for your manicures or pedicures. Seems simple enough - cut out the design you want, remove the plastic from the front, place it on your nail, wet the paper backing, wait 15 seconds while pressing down and take the paper off. (More instructions located here.) I found that regular scissors were too big, so I used a pair of manicure scissors that I actually got from The Painted Nail's Twitter giveaway last month. There are 86 tattoos (one sheet with large designs and one with smaller designs) and in different sizes (for fingers and toes). I chose the red star that you see cut out. To wet the back, I took a cotton pad and soaked it with water. I seriously thought that the "red" was going to show up as red, but it doesn't... it shows up as white. However, look at the crispness of the tattoo! Unlike Konad, this isn't going to smear as easily. You are supposed to wait about 2 minutes and then seal with top coat (either bigRuby or one of your choosing). Cosmic, Garden, Mod, Sea Creatures, and Tweet. 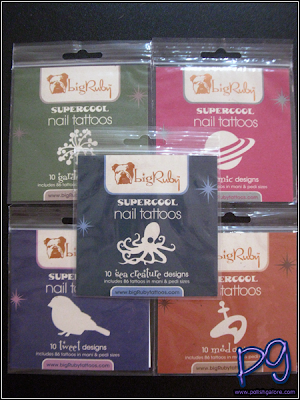 Each sells on their website for $12 and their Super Dry Top Coat is $9.95. While supplies last, they are offering a gift of their Supercool Skull & Crossbones tats with the purchase of 3 or more items. 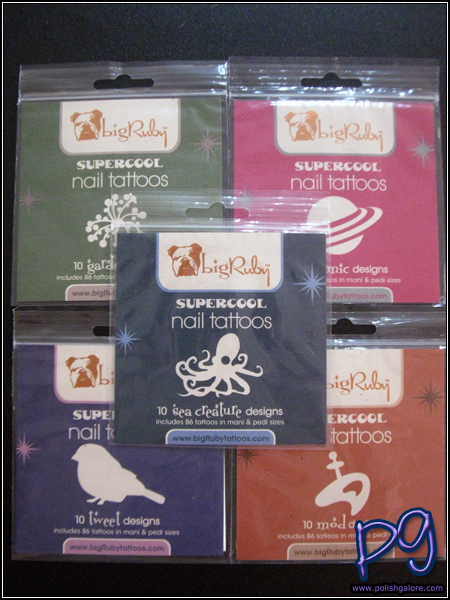 I find these are a great alternative to Konad or nail art since it's hard to mess up. 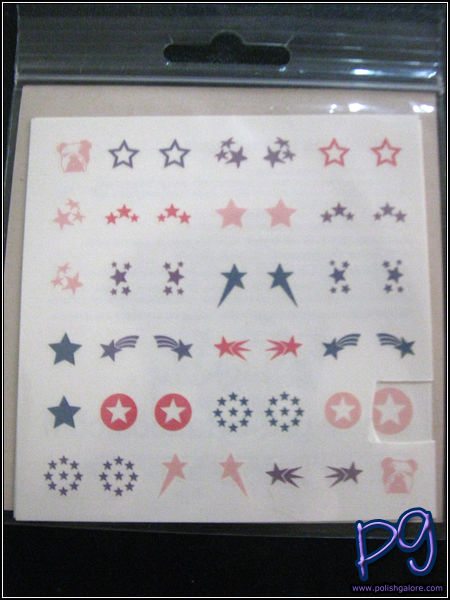 Unlike stickers or nail decals, they won't peel up on you or catch on anything so that's a huge selling point for me. 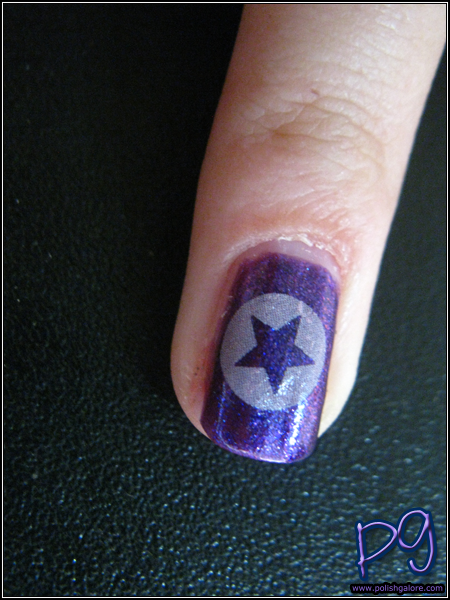 They last until you change your nail polish which is nice if you're planning something for a party or vacation. You can like bigRuby on Facebook, follow them on Twitter or just check out their website sometime! awesome!! Ed Hardy makes some too. Glad this is expanding because they are fun!